Garage Door Repair & Installation - Elk Grove Garage Door Co.
From residential to commercial, we do it all. 24/7 phone service to schedule fast service. At Elk Grove Garage Co., we’re committed to the highest standard in customer care and attention to your needs. We take pride in having the most friendly and professional employees to help you with your installation, repair, and service needs. When you pick us, you can rest assured knowing that the job will be done right every time. RESIDENTIAL GARAGE DOOR INSTALLATION, REPAIR, AND MAINTENANCE. 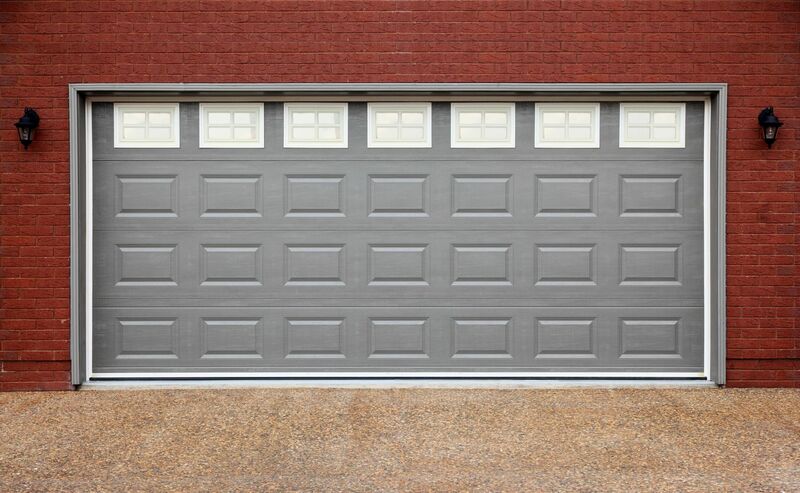 We carry all of the top quality parts and brands for all types of home garage doors. We also provide 24/7 emergency service to quickly fix any problems you have. From helping you build your perfect garage door, making openers and remotes, to fixing broken torsion springs and tracks, we do it all. COMMERCIAL GARAGE DOOR PLANNING, CUSTOM INSTALLS, REPAIR, AND PREVENTATIVE MAINTENANCE. Our installation and repair experts lead the field in experience, effectiveness, and dependably. We understand that fast and excellent service is critical for your business! We service both sectional and rolling doors, both light and heavy duty sheet doors, as well as insulated doors. We carry parts for and service all major brands. We offer the fastest and best spring repair in Elk Grove. Give us a call now to get your door working again! We offer install, repair, and universal clickers for all brands and needs. As one of the most important parts for a functioning door, we provide full on site setup of remote opener systems and make sure you know how to use them. Some of the most common garage door repairs are for faulty or aging springs. If your garage door is locked or won’t open, we offer same day service to get you back on the road. We carry a wide variety for all major brands to perform quick and easy replacements. Elk Grove Garage Door Repair Co. carries all the major parts and many hard to find parts to make your repairs lightning fast and affordable. We carry pullies, cables, tracks, hinges and much more to give you high quality parts at the lowest possible cost. Our absolute attention to detail and proper planning sets us apart from our competitors. When you need garage or carport work done, we can help you bring your vision to life and build a beautiful look for your home. What sets us apart at Elk Grove Garage Door Co. is an unmatched attention to your needs and budget. We know garage doors are an expensive piece of machinery and you need work that’s both expert and affordable.